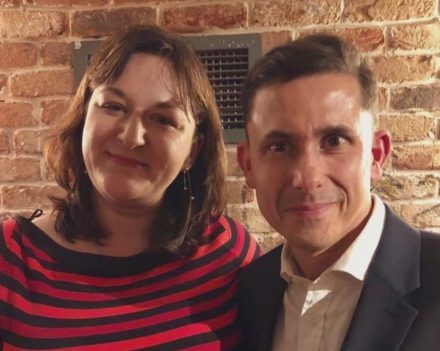 The Jewish Labour Movement held its annual general meeting on Sunday, when it elected Mike Katz as national movement chair and Ruth Smeeth – replacing Luciana Berger, who has quit Labour to form a new party – as parliamentary chair. Katz fought off incumbent Ivor Caplin, as well as Colin Appleby, who ran on a platform advocating disaffiliation from the Labour Party – an idea that was rejected as JLM activists pledged to “stay and fight” rather than sever the 99-year link. The former Camden councillor and parliamentary candidate, who pledged to raise funds for a professional organiser and build relationships with youth networks, reportedly won by a significant margin. JLM members did not opt to disaffiliate from Labour at the AGM, but did pass a motion of no confidence in Jeremy Corbyn almost unanimously following speeches from Labour MPs Margaret Hodge, Ruth Smeeth and Louise Ellman. The motion said that the party leadership – including its NEC, the shadow cabinet and the general secretary – had “fundamentally failed to address antisemitism” and “continue to provoke” JLM by, for example, ending the use of the body for antisemitism training. The closest vote of the day, with 81 votes in favour and 67 against, was on an amendment to the ‘Labour Party antisemitism’ policy motion. The proposed change removed condemnation of Corbynite group Momentum and replaced it with criticism of Jewish Voice for Labour. Where the motion cited “Momentum, CLPD and LRC” – the latter referring to the Campaign for Labour Party Democracy and the Labour Representation Committee – the named groups became “CLPD, the LRC and JVL”. They were said to have “acted… to protect and support those engaging in antisemitism”. Activists also passed a motion in favour of a “People’s Vote”, urging Labour to campaign for another referendum on Brexit. On the same day of the AGM, The Sunday Times reported that leaked emails showed the party had failed to discipline members accused of antisemitism and that Corbyn’s office had intervened in numerous cases. Ruth Smeeth told Channel 4 News that she had Whatsapped Corbyn on Saturday evening to ask about the reports, and he received the message but did not reply.